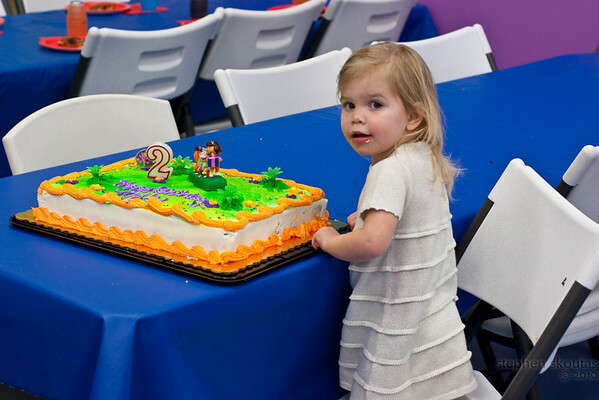 stephen skoutas photography: Molly is two! Kid's Kastle was the place to celebrate Molly's second birthday. My favorite part was Molly sneaking off to sample the cake when no one else was looking. I know Brian and I had a blast playing. I'm pretty sure the kids did too. That place is a great place to burn energy, and the kids certainly did. Great time! Thank you for having us. The pictures can be found here.